Dr. Charles K. Barron, Jr.
Dr. Charles K. Barron, Jr., is Aunt Martha’s first Chief Medical Officer. He is a 1994 graduate of the University of Iowa College of Medicine. He also holds a Master’s Degree in Business Administration, which he earned at Olivet Nazarene University. Dr. Barron is Certified by the American Board of Family Medicine. 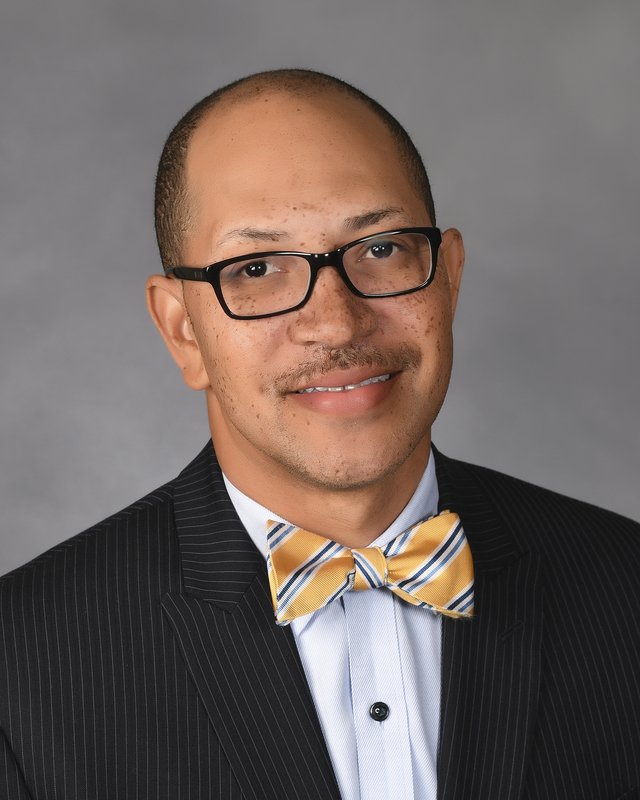 He earned a Certification as a Physician Executive from the American Association for Physician Leadership, as well as a Post-Masters Certification in Health Care Informatics from the University of Illinois-Chicago. Before joining Aunt Martha’s in September 2016, Dr. Barron honed his clinical and administrative skills at Access Community Health Network. He served as an Associate Medical Director from 2000 to 2007, when he became a Regional Medical Director. Since 2013, he also served as the organization’s lead provider for Clinical Quality. In addition to his academic and professional achievements, Dr. Barron maintains professional affiliations with the National Assoication of Healthcare Services, The American Board of Family Medicine and the American Medical Informatics Association. He is an active member of Kappa Alpha Psi Fraternity, Inc.